We are presently working virtually from home with a proposal to set up our future office in Shimla city soon. We would also be setting up a branch office in Chandigarh & Delhi-NCR soon. 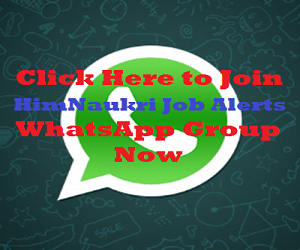 WhatsApp Group: Join HimNaukri Job Alerts WhatsApp Group by Clicking Here.